As you ascend to senior leadership, it is critical that you understand the whole organization, your role in it, and its role in the global economy. 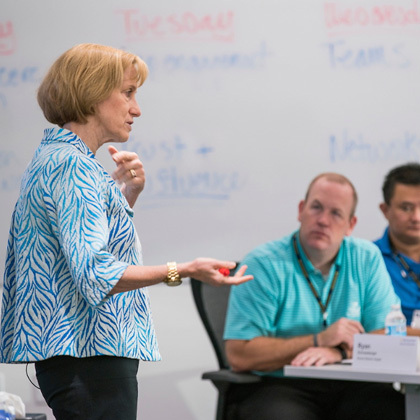 The Ross Global MBA Program’s unique structure - including sessions around the globe - delivers the analytical essentials, strategic insight, and leadership skills you need. The program is designed to immerse you in many of the world's leading centers of business activity. During each session you will have ample opportunities to experience the local business culture, and engage with corporate executives. You spend one month each in Japan, Korea, and Silicon Valley, and then 13 months in Ann Arbor, with the diverse Ross student body. The school offers corporate visits and cultural excursions in each location to facilitate opportunities to expand your understanding of local business, history, and culture. The program kicks off in Asia with one month each in Korea and Japan. Facilities are carefully selected in culturally rich and convenient downtown areas, so you can fully immerse in the culture while living comfortably. Michigan Ross faculty travel from Ann Arbor and live with students. Throughout the session, we integrate core MBA studies with company visits and cultural excursions to provide a real-time global perspective on business and social customs. After the Asia session, students move to Silicon Valley for one month. While continuing to take core courses, students have rich opportunities to observe the global business convergence tech companies are initiating and leading. Students get a rare inside look at Silicon Valley through corporate benchmarking visits. 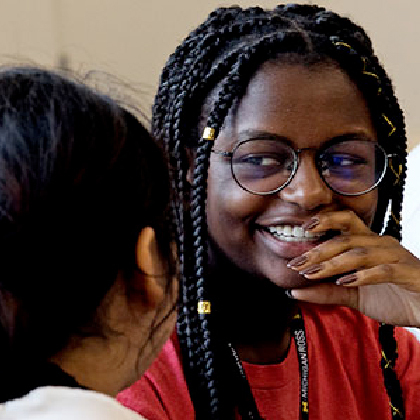 Throughout the sessions in Asia and Silicon Valley, students and faculty engage in classroom and extracurricular activities, creating a tight-knit cohort and unique environment of intellectual stimulation and development. The school handles logistics for the entire duration of these sessions. 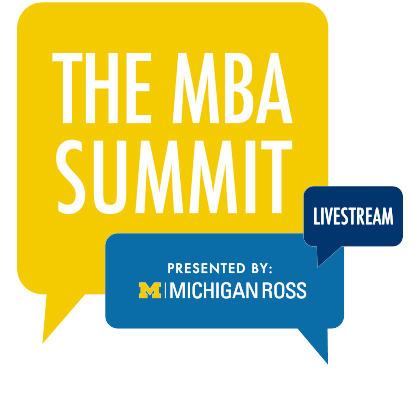 In June, the Global MBA class moves to the Ross School of Business campus in Ann Arbor to complete the program. From June through August, you continue completing the MBA core curriculum to satisfy degree requirements before two full terms of elective courses. Each June, students from two Global MBA cohorts convene in Ann Arbor, one beginning their 13 month stay, the other near the end of it. The students who experienced Ann Arbor over the last 12 months are eager to share their knowledge and help the newcomers settle into the new environment. The overlap offers a great opportunity for students from different graduating classes to get to know each other and further expand their network. From September to April of the following year, Global MBA students are free to explore a vast array of topics through more than 110 elective options. 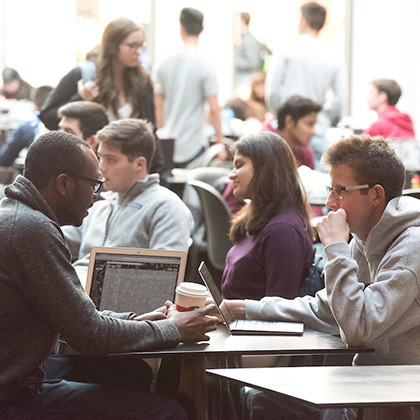 During this period, you are fully integrated with students in other Ross programs, including the two-year MBA, part-time MBA, the Master of Accounting, and the Master of Supply Chain Management. You interact with more of the Ross School’s acclaimed faculty and are able to deepen your mastery of the fundamentals by examining issues across business disciplines and perspectives. In May and June of the final year, the Ann Arbor session concludes with the seven-week Multidisciplinary Action Projects course. During MAP, student teams consult with firms to deliver actionable solutions to organizational challenges. You can use MAP to tailor your MBA experience. You may seek out new industries or functions, or use the course to get an inside view of a startup or incubator. 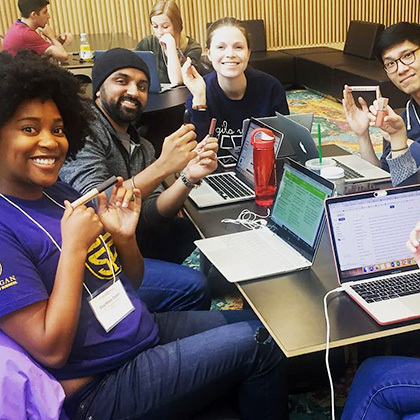 While in Ann Arbor, Global MBA students participate in all kinds of events and opportunities offered at Ross, including workshops, student clubs, conferences, and speaker series. Best college town in the U.S.
Ann Arbor consistently ranks as one of the best places to live in America. It’s rich in entertainment and culture, home to an amazing food scene, and offers countless opportunities for outdoor and indoor adventures. As home to one of the greatest universities in the world, Ann Arbor is a city that is both intellectually robust and economically resilient. The University of Michigan attracts global leaders in all fields, including medicine, life sciences, law, engineering, public policy, and education. Whether you’re interests outside of school focus on the arts, food, or recreation, Ann Arbor has something for everyone.